Self-discovery, battling ignorance, thumping 80s synth, and Wendi Peters?! This should be an easy knockout but something is missing. I wanted to love this show so much, because of the subject matter. And certainly, the bravery of real Vicky in the hateful climate of the 80s, and the support she received in her journey is stirring stuff! But a play is not comprised of themes alone, it is writing, acting, lighting, directing and a host of infinitesimally small things. It is in the realisation of its themes that Call me Vicky falls down. There is an issue of timing which drains a lot of the clout out of the show, a composite problem of clumpy writing from Nicola and Stacey Bland, and a rather lacklustre performance from the lead (Matt Greenwood). Although looking stunning in sequined gowns, and performing some wonderful numbers in the Golden Girl Club (Soho’s premier drag bar) Greenwood holds back in both volume and emotion. From the eponymous star this is a real problem. Victoria Gimby’s direction has flashes of brilliance, but overall has a rather boxy sense. There is a slight gap of emotional connection where there should be floods of tears and scorching anger. But let’s talk about brighter topics. Wendi Peters, for example (Coronation Street’s finest), who shows all her years of acting experience, with an unrelentingly performance as Vicky’s surprisingly supportive mother; chain-smoking, fiercely loving and a cornerstone for the play. Coupled with Ben Welch playing the almost Fagin-like drag queen, friend and sometimes pimp Fat Pearl, some of the other performances do fade into the background. 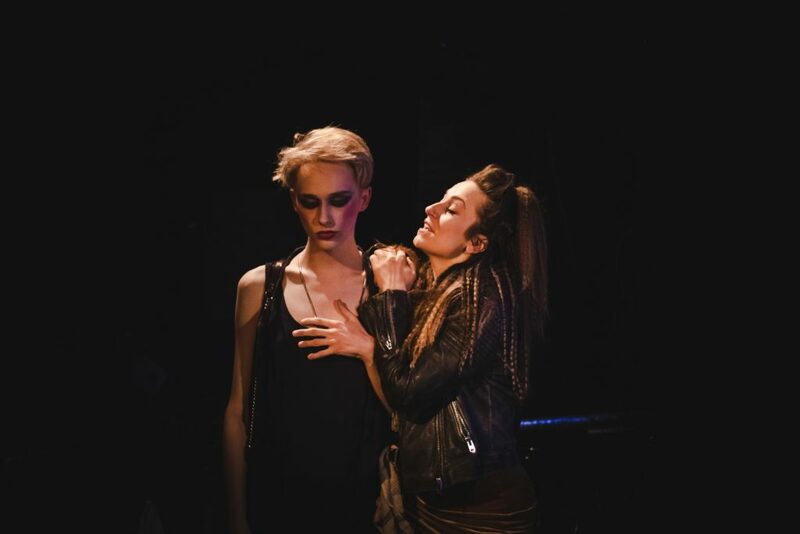 Welch’s all singing, all dancing, completely grotty queen with a mouth of filth but a heart of gold is a highlight within the production and a nod to the less squeaky clean side of LGBTQ+ history. The show isn’t lacking in beauty, comedy or impact, but for a story with so much natural juice, life and turmoil the writing and acting leave it feeling a tad predictable and flat. We laugh, and maybe feel a moistening of the eye, but we are left longing for more, in a production that falls just short of reaching its star.